What if Pharmacies Billed Like Hospitals? Retail pharmacy has been on a downhill pricing race for a long time now. The result is that pharmacies are closing and merging because they simply cannot find a way to survive on the low margins afforded by our prescription drugs. When I show my staff and students what a pharmacy actually makes on many prescriptions they are amazed that any pharmacy finds a way to keep their doors open. If you have ever been to a hospital and seen what the bill looks like, it becomes clear where pharmacy has gone wrong. Pharmacy has been doing this whole “billing” thing incorrectly. We have been duped into operating like a donut shop, charging for nothing but the product itself. Worse than that, the price of OUR donuts has been squeezed so tightly by the industry we are forced to dispense a giant coffee roll for the price of a tiny donut hole. Plus we have to spend time counseling patients on their use of the donut and make sure their donut dose is appropriate and doesn’t conflict with the rest of their diet. But what if pharmacies could bill like a hospital for their services? Hmmm. What would a simple trip to the pharmacy look like? And the above illustration is done using MODEST pricing for every service. To really make it comparable to a hospital bill we would have to add a couple zeros to each item. Instead of the above, assuming we are talking about something cheap like a 1-month supply of lisinopril or metformin, the pharmacy is probably getting $4.00. Yes folks, you read that right. Once you factor in your business overhead you will lose money every time you dispense this drug and your only hope is that the patient buys some OTC items to make up the difference. When the media and politicians talk about the troublesome rising prices of prescription medications I have to laugh. I’m not sure who they are talking to. I suspect that 99 out of every 100 people who reads this post, if they are honest, will admit that the surprising thing is just how inexpensive medications are overall in our system. Yes, there are glaring exceptions to that rule. But for the most part the vast majority of prescriptions are so inexpensive that pharmacies can’t stay in business dispensing them. We’re charging too little, not too much. 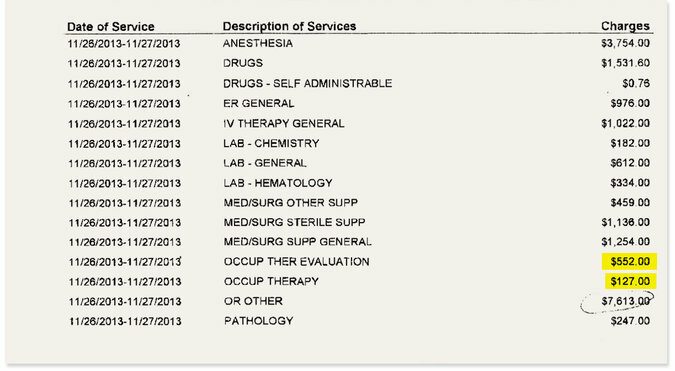 » Pharmacy Operations » What if Pharmacies Billed Like Hospitals?